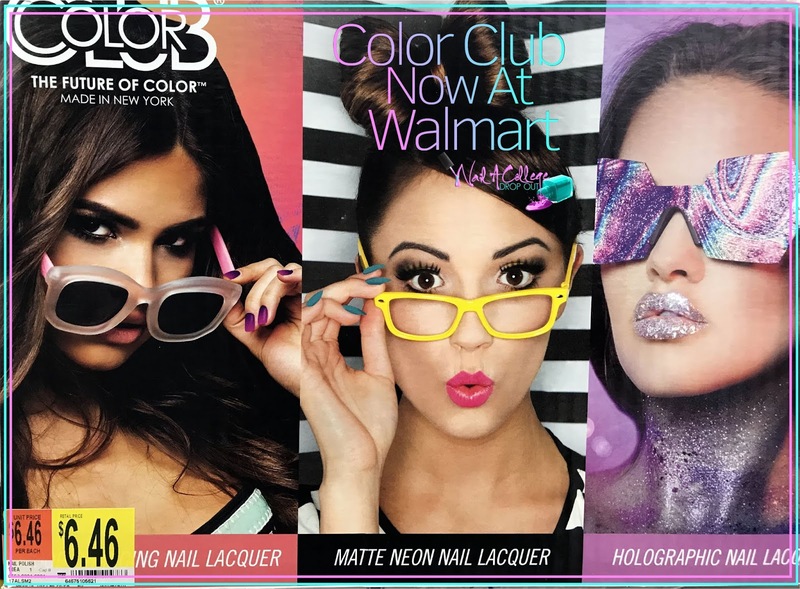 Nail A College Drop Out: Walmart Has Color Club! Yup. You read that right. Walmart (read: select Walmart locations) have Color Club. Albeit an endcap display and not a section on the shelves next to all the other nail polish brands they carry. Tis access to Color Club nonetheless. I've known heard whispers & seen pictures from other nail fanatics for a few months now. However, I hadn't seen it for myself until about two weeks ago after work. 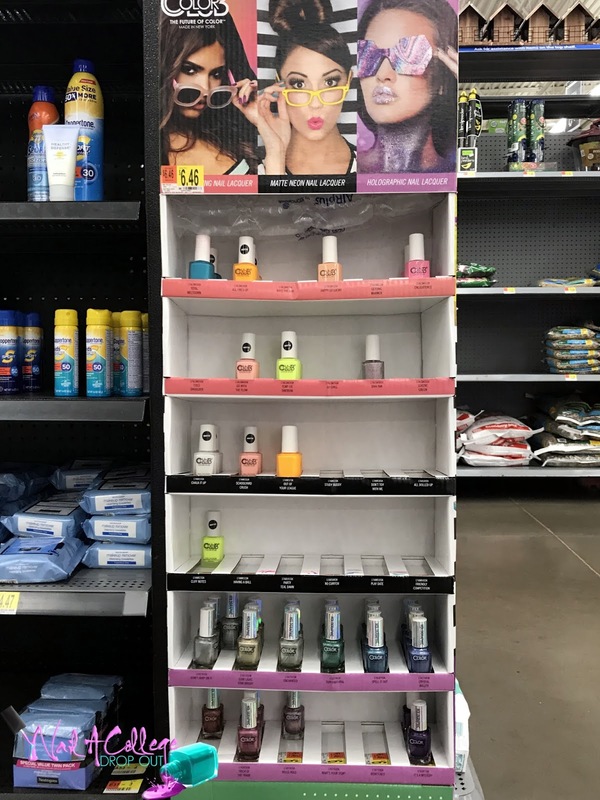 By the way, the Walmart location I finally found this Color Club display was the sixth or seventh location I tried this summer. The display hosts three different types of polish: mood changing, matte neon, and holographic. Each of the types is selections that fit the aforementioned description from a mixture of Color Club collections. Selections of the matte neons are from Pop Chalk, Pop Play, and possibly other collections. I believe all of the mood changing polishes are from the only Mood collection. (If there has been more than one collection of Mood from Color Club, let me know in the comments.) 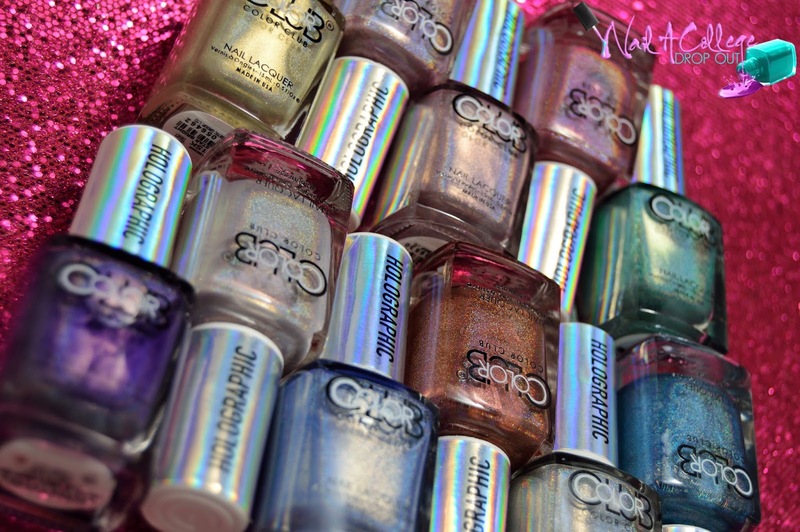 And the holographic shades are from an assortment of shades from different Halo Hues collections. 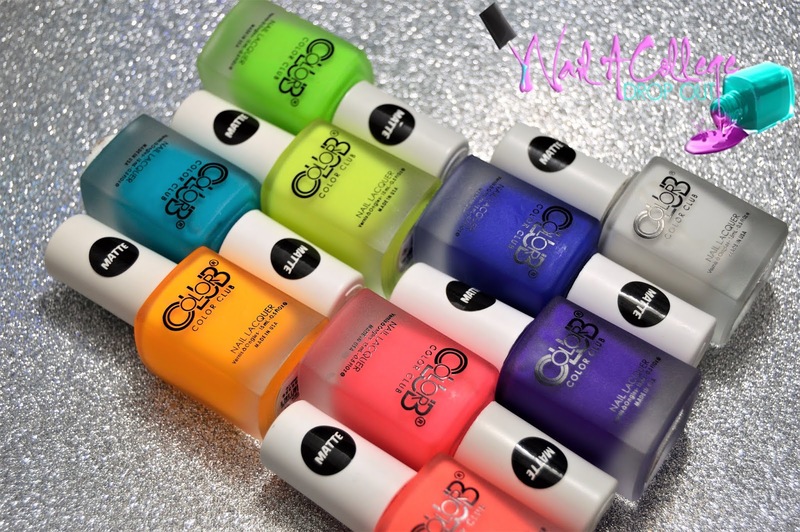 6 @Walmart locations later I FINALLY found @ColorClubNail. Of course, I spent over $100 at 2 am when I saw these. Ready to see what I bought? I picked up two from the Mood section. And last but not least, the neons. Y'all know how I feel about neon. What I love about Color Club being available at Walmart is 1) accessibility and 2) the price point. 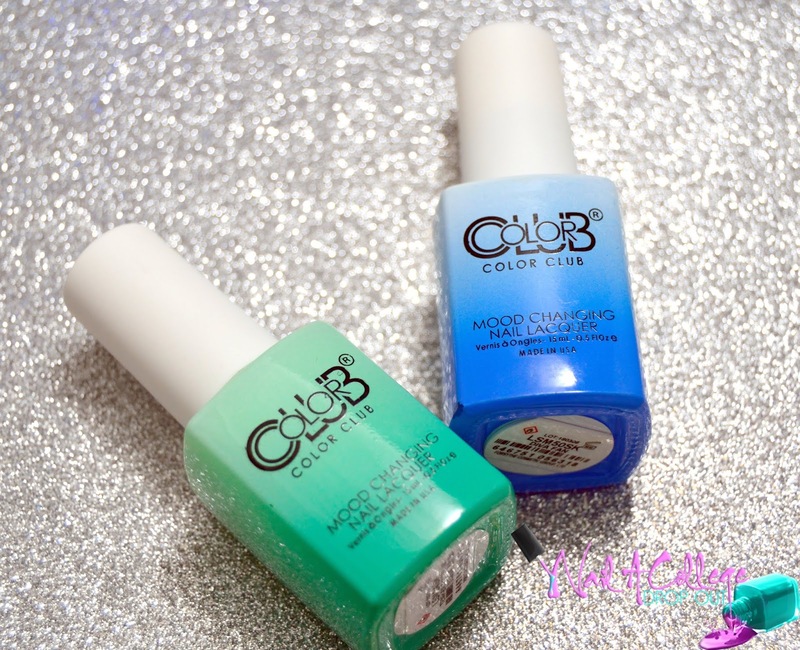 Other than online, the only place I could buy Color Club was at Beauty Plus Salon which only carried whatever their distributor sent them. Meaning any collections they did get were hit or miss. Now with Walmart carrying them (temporarily because this is an endcap display), I can finally get my hands more pretties in person. The price point. $6.46. Six dollars and forty-six cents. Considering they retail for $8.50, it really isn't too bad. 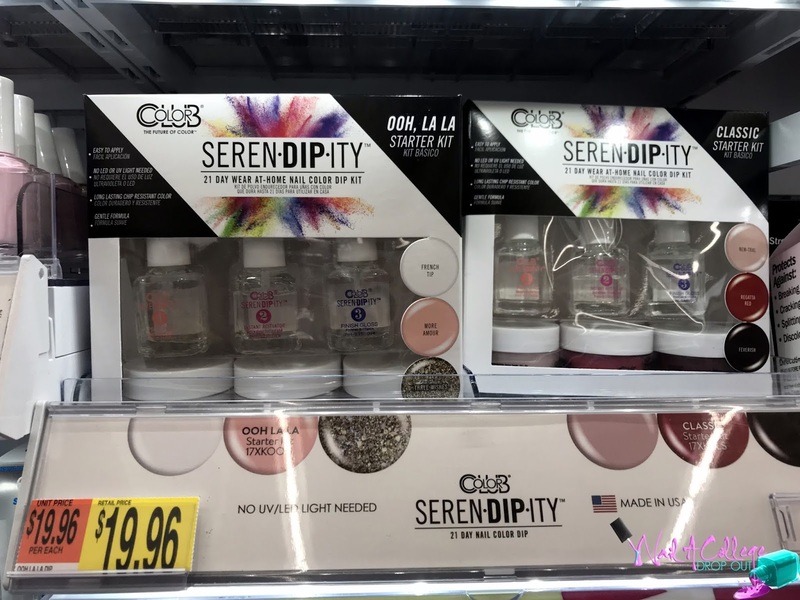 I do have some hope that Color Club becomes a mainstay at Walmart because every location I went to does have this in the designated section for nail polish. Have you found the display yet? Did you clear it like I did? Let's chat in the comments.